The WINNER members talked about Kim Jin Woo's bold move. On April 18, WINNER's Kim Jin Woo, Kang Seung Yoon, and Lee Seung Hoon guested on MBC FM4U's 'Ji Suk Jin's 2 O'Clock Date'. Song Min Ho was unable to join due to another schedule. During the radio broadcast, Kang Seung Yoon revealed that Kim Jin Woo becomes tough when he has several drinks. Kim Jin Woo also shared, "I don't talk a lot but I become talkative." Lee Seung Hoon then revealed, "One time, Kim Jin Woo put his arm around sajangnim's shoulder after having drinks." 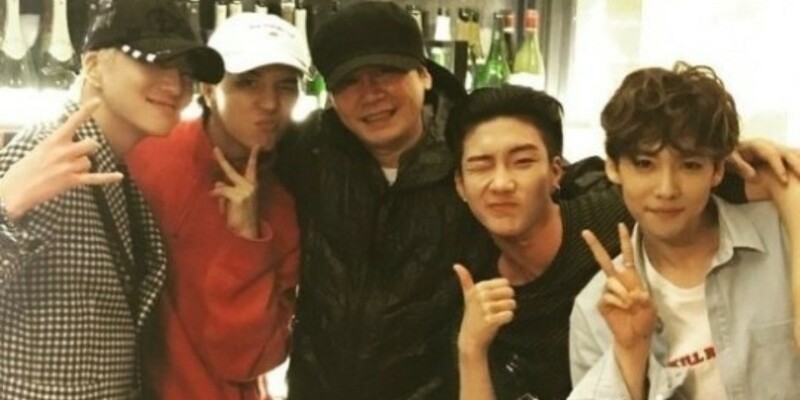 Kang Seung Yoon added, "Yang Hyun Suk hwae-jang-nim seemed very surprised too."